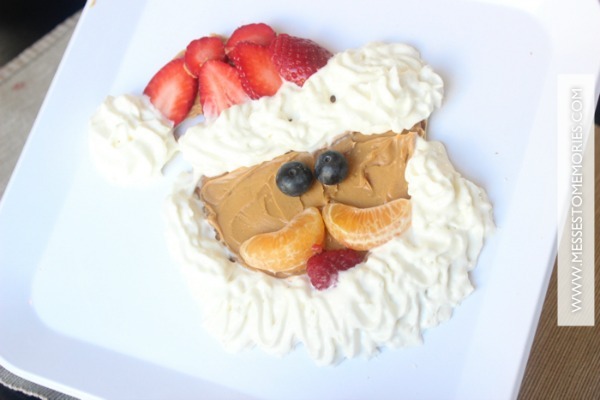 Christmas Breakfast Ideas - C.R.A.F.T. 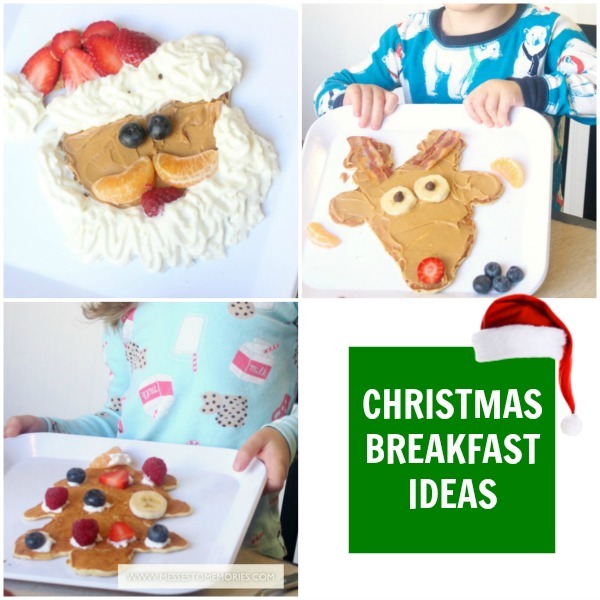 Carisa from Messes to Memories is back today and sharing really cute Christmas breakfast ideas! 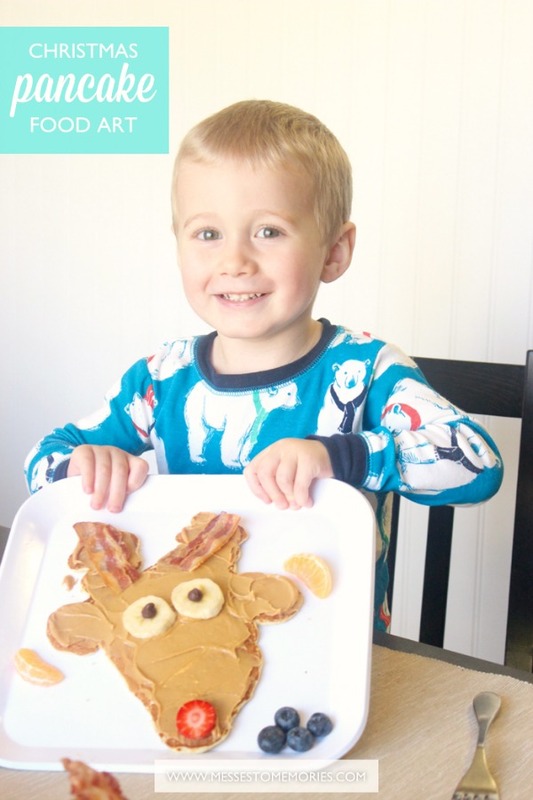 I’m excited to attempt these pancakes with Max on Chrsitmas morning. Oh and be sure to check out her super simple (&free printable!) mistle toe gift idea! Enjoy! Carisa here from Messes to Memories to share a fun little Christmas activity that you can do with your family! 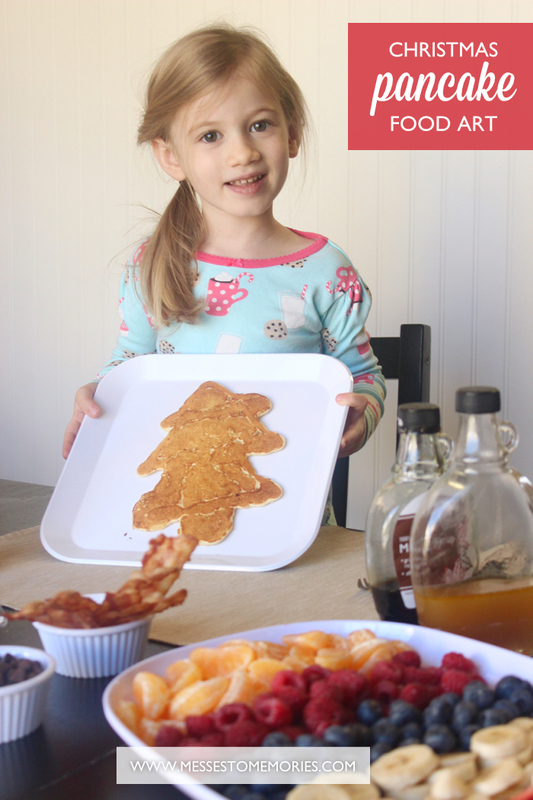 As a part of our advent this year, we decided to do a special Christmas Pancake breakfast. Our breakfast included some of our most favorite things. Pancakes, fruit, bacon and peanut butter! I’m sure you’ve seen some amazing pancake art floating around. Let me just tell you that it is a whole lot harder than it looks! Ha ha! My first couple of attempts turned out to be giant blobs instead of Christmas trees and reindeer. Thankfully my husband took over the pancake making and I decided to help the kids make some pretty pancake food art! Lanae requested the Christmas tree and she decorated it all by herself! I love how independent she is becoming. 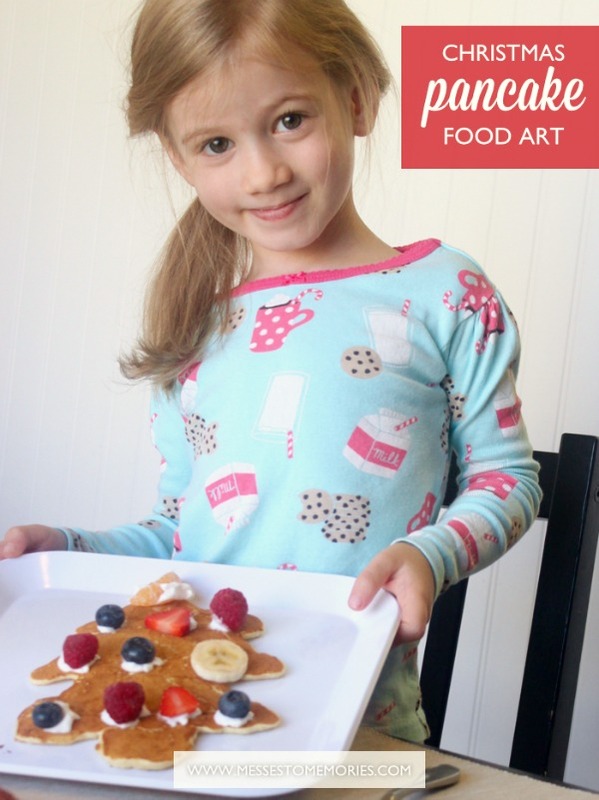 She was so excited about it her Christmas tree pancake art, just look at that face! It was so fun to help Owen. He was excited to give his reindeer a nose and eyes, and it turned out adorable. Pancake batter: to make the Christmas pancakes we watched this video tutorial and then tried our best to copy. Scott got pretty good by the end. We used an old Hershey’s syrup container to dispense the pancake batter. Toppings: bacon, peanut butter, syrup, whipping cream, chocolate chips and fruit. We used fruit to make it a little healthier! I thought this fruit platter was so pretty! However, having a large fruit platter like this makes it a very special breakfast indeed! Once you make the pancakes, let the creativity begin! Here’s my attempt at a Santa Claus pancake! This was such a fun Christmas activity. I think I’ll be working on my pancake art skills so that I can make some amazing art next year! We have some other fun Christmas ideas this week… Check out our Ginger Molasses Cookies, White Chocolate Peanut Butter Trees and the perfect Gingerbread Icing. I love them all! It looks like you guys had a blast!! Thanks for sharing this on Throwback Thursday, and I’ll be pinning this to our board! Be sure to follow! 🙂 Happy Holidays! Yes, nothing says Christmas like the smell of cookies. Yum! Beautiful party!